Much has been said about England’s attack being one-paced. It was a constant moan during the Ashes capitulation, while the national performance centre at Loughborough has a team dedicated to improving the rapidity of its young bowlers. Of course, during home series - with conditions favouring the swinging ball - the need for speed is nowhere near as great. Still, it was interesting to note Stuart Broad pushing 90mph on the speed gun at times on Sunday. Broad is now bowling faster than he has since 2011, according to CricViz, with the Nottinghamshire seamer averaging around 84.3mph this year compared to 82mph in 2012. We all have them. Everyone knows at least one bowler who they absolutely hate to face. For Cheteshwar Pujara, that bowler appears to be Stuart Broad. The England man has dismissed his Indian opponent with tremendous regularity - five times in 176 deliveries for just 54 runs - after removing Pujara with a galloping, grunting inswinger that tore out his off stump in the second innings here. Pujara, who ended his Test comeback with 18 runs and a comical run-out, will have hoped for so much better after regaining his place. But he is far from the only batsman in the India line-up struggling for any kind of form. 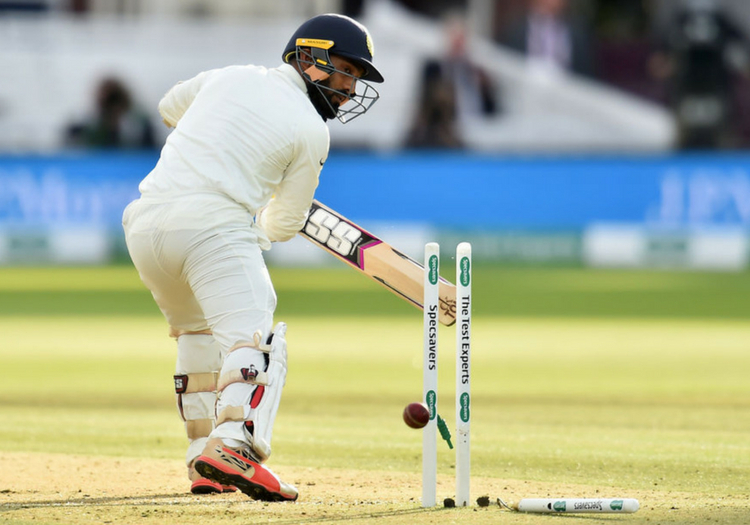 Murali Vijay’s pair gives the selectors an even larger headache for Trent Bridge - hardly a bastion of solace for those finding life tough against Jimmy Anderson, Stuart Broad and the swinging ball. Could India pick their third different opening pair in three matches? Vijay averages 21.2 across 13 Test innings in 2018. Take out the 105 he made against Afghanistan in June and that figure drops to 10.7, with no single score higher than 46. Will India consider persevering with a 34-year-old in this sort of form? Shikhar Dhawan was dropped for Lord’s but India could surely take a tail-on-the-donkey approach to which one of their beleaguered batsmen gets the chop next. Karun Nair and Rishabh Pant will certainly think they are deserving of a go somewhere in the middle order but when it comes to negating England early doors, there are many more questions than answers. The performances of umpires are usually brought up when things go wrong so it’s only right that, occasionally, we pick out moments of class from the men in white jackets. Generally in this series, the officiating has been superb and that was highlighted during a passage in play on the fourth afternoon when Aleem Dar got absolutely everything spot on. Firstly, he turned England’s appeals for a legside catch down when the ball flicked Virat Kohli’s jumper. Then he correctly raised his finger when Kohli got the tiniest flake of glove on the ball on its way to the diving hands of Ollie Pope at short leg (Kohli was so convinced he had not touched it that he instantly called for a review). Finally, Dinesh Karthik was cornered lbw by a Broad inswinger, which he too unsuccessfully sent to the TV umpire. It was the first time in Test history that DRS had been used in three successive deliveries; and on each occasion Dar was spot on. Umpiring, particularly at elite level, requires tremendous powers of concentration and more mental and physical stamina than those performing the job are usually credited with. Under intense pressure from all angles, dissecting events calmly and clinically and coming to the correct decisions is hardly umpiring by numbers. Dar deserves the plaudits for an excellent day at the office. NO STOKES? CALL FOR WOAKES! It seems a bit silly to think now that there was even a modicum of debate about whether England should include Chris Woakes or Moeen Ali ahead of the start of play. Woakes’ performance with the bat was tremendous but his effort with the ball in the first innings, particularly against Virat Kohli, were just as impressive at the end of a period in the casualty room. England and Warwickshire have timed his recovery perfectly, refusing to rush him back for the first Test after a run-out in the Lions and ensuring that he was firing when needed, as the deputy for Ben Stokes. Who knows when Stokes will return. One thing is for sure, though: Woakes has made himself undroppable for Trent Bridge. Adil Rashid’s return to the Test team sparked a fierce internal debate about players shunning their counties being selectable by their country. But, so far, he’s barely had a chance to prove he belongs to be there. Three wickets from just 12 overs at Edgbaston preceded four days of grazing on the outfield for the leggy, who did not bat, did not bowl and was really only noticeable during a comical moment in the field on day two when he lost the ball in the gloom. It raised a smile to see him clasping a stump on his way back to the pavilion at the close. The one major concern among those who object to Rashid’s inclusion for cricketing reasons rather than points of principle is that he does not have the control to be the lone spinner in a Test XI. While in white-ball cricket his primary role has been as a strike bowler, should be be included in the touring part for Sri Lanka he’ll need to tie down an end and cut out the loose stuff. 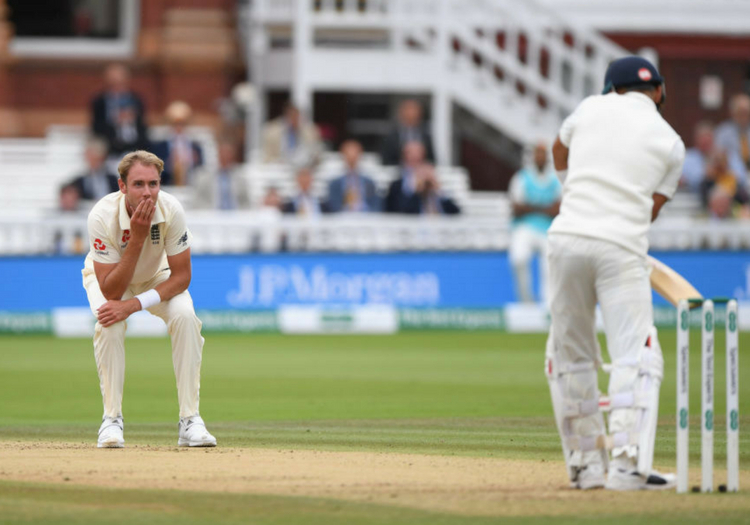 With India flummoxed by seam so far, there has been little need for Joe Root to call on him despite the promise of turning wickets at the end of our long, dry summer. England could do with their opponents getting set at Trent Bridge, if only to see what Rashid is capable of. We all know the pitfalls of modern Test cricket; the matches sardined into tiny pockets of the year, the old notion of tours spreading themselves across months and taking in every nook and cranny of the host nation totally abandoned. But at some point cricket is going to have to reconsider its quantity over quality approach. India arrived at Edgbaston last week not so much underbaked as a pile of flour and eggs. Their one game prior to the first Test - a four-day encounter with Essex’s second string at Chelmsford, which they requested be shortened to three - was no more a warm-up than a brief defrost. India need look no further than their recent record with the bat in England as reason enough to treat the Test series a little more seriously. 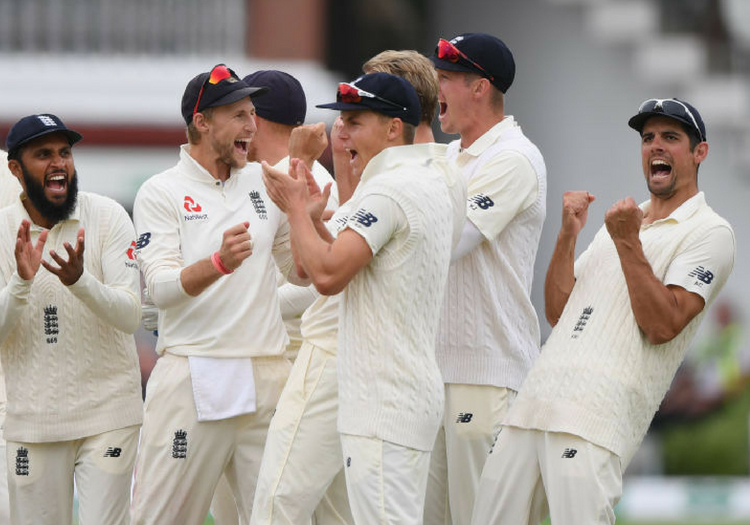 After their two implosions at Lord’s, they have now been skittled out for under 200 in eight of nine Test knocks on these shores. “We have a chance to correct this (the result) next game,” Virat Kohli said afterwards. India must surely realise it takes a lot more than five days to get their house in order.